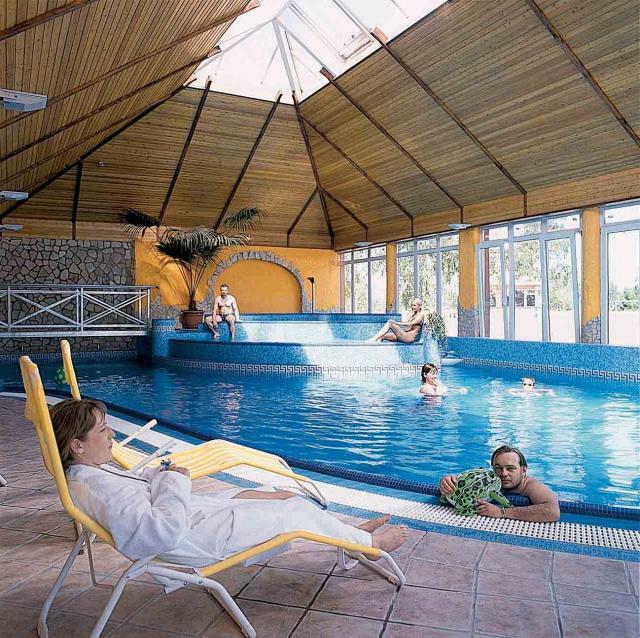 Kek Duna Wellness Hotel (‘’Blue Danube’’ Wellness Hotel) is elegant ambience, offers accommodation in 40 standard rooms, 4 apartments and one ‘’Honeymoon Suite’’, over two floors with choice of room types to suit your requirements. All our rooms are air conditioned and facing to the river, tastefully furnished in warm style to offer a comfortable and well equipped retreat at the end of the day. Two of our rooms have been special equipment to suit our guest whom suffered from allergic. Friendly staff in reception gives warm welcome and all useful information about our facilities and any other activities in the city of Rackeve or Budapest. If your arrival is early we will be glad to store your bags and make our wellness facilities available for you to freshen up, or you can have a meal in our restaurant. Almost all of our rooms are facing to the river and all rooms are air conditioned. Apartments has two bed rooms each and big enough for families. Two rooms are designed to suit our guest who suffered from allergic. On second floor all rooms are BIO rooms, all have special ‘’ wall heating-cooling system’’, Bio mattresses and the pillows and blankets are made from special Bio Wool materials. In the bathrooms Jacuzzi and Shower wall made more comfortable leisure break to our guest. The special ‘’’Honeymoon Suite’’ with queen size bed (covered with bed canopy), Jacuzzi and the best location of the hotel offer unforgettable moments. Also some other facilities: laundry service, baby bed and baby chair. We believe the duty of wellness it’s mean, harmony of body and soul. Few days with taking care of our self make sure can wind down and relax. Wellness facilities are open from 6.30am to 11.00pm every day. Air conditioned ‘’Panorama Restaurant’’ offers the taste of Hungarian and International cuisine with vegetarian dishes and our Awarded chef’s specialities. Our dishes are made from Bio fresh ingredients. Summer time, also available outside grill terrace and cocktail bar. The hotel has several place to keep meeting and conference. Our rooms have natural ldayightsand sound-proof. These rooms can be separated or connected. Our hotel, opened in 2003, located near to Budapest (47 km) on the riverside of Rackeve, overlooking to the heart of the city and give ideal place to have harmony and refreshing to escape from every day’s stress. Rackeve has been retained friendly and familiar country style beside of the modernity of 21st century. The city is rich in place of interests in this peaceful environment. Around the Hotel is enjoyable garden, threes and small lake gives calmness.